Subject: We shall share these funds 50% for me and 50% for you. . Thank you very much for your response. Please note that i have no intention of asking you to send me money. As we communicate bear in mind that you are dealing with a responsible family woman that has a lot of reputations to keep and maintain.God in heaven knows that i am of good intentions and faith in contacting you for this. If you read my terms below and you are not convinced then feel free to back out of this transaction. Let me start by introducing myself. 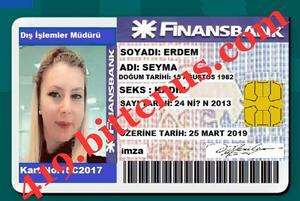 I am Mrs. Åžeyma Erdem i work with the Finansbank in Turkey. I got your contact through my personal search. Now listen, on the 31st of July, 2010, our client Mr. Andreas Schranner, a German property magnate and also a businessman, made a numbered fixed deposit for 18 calendar months, with a value of eleven millions five hundred thousand US dollars US$11.5m. in my branch. Upon maturity several notices was sent to him, with no response. Recently another notification was sent and still no response came from him. I later found out that Mr. Schranner along with his wife and only daughter along side their in-law and grand kids had been killed in a terrible plane crash. After further investigation it was also discovered that Mr. Andreas Schranner did not declare any next of kin in his official papers including the paper work of his bank deposit. And he also confided in me the last time he was at my office that no one except me knew of his deposit in my bank. So,$11.5m. are still lying in my bank and no one will come forward to claim it. What bothers me most is that according to the Turkish financial law, at the expiration of 9 years the funds will revert to the ownership of the Turkish Government if nobody applies for claim. Against this backdrop, my suggestion to you is that I would like you as a foreigner to stand as the next of kin to Mr. Andreas Schranner so that you will be able to receive these funds. I want you to know that I have had everything planned out so that we shall come out successful. My attorney will prepare the necessary document that will back you up as the next of kin to Mr. Andreas Schranner, all that is required from you at this stage is for you to provide me with yournames, address and copy of identification so that the attorney can start his job. After you have been made the next of kin, the attorney will also file in for claims on your behalf and secure the necessary approval and of probate in your favor for the movement of the funds to an offshore account that will be provided by you. There is no risk involved at all in this, as we are going to adopt a legalized method and the attorney will prepare all the necessary documents. Please endeavor to observe utmost discretion in all matters concerning this issue. Once the funds have been transferred to your nominated bank account we shall then share in the ratio of 50% for me and 50% for you. And finally after that I shall provide you with more details on this transaction. Your earliest response to this letter will be highly appreciated. I appreciate the fact that you are ready to assist me in executing this project. Once the transaction is finalized i will plan a trip to your country since i have never been there. Maybe we can have a good investment over there with your advice.You should not have anything to worry about, I have done everything legally required to ensure that everything on my part goes smoothly and passes through all Laws of International Banking. Having resolved to entrust this transaction into your hands. I want to remind you that this transaction needs your commitment, diligent follow up and confidentiality. As i earlier told you, the only tax you are to bear in this whole transaction is taken charges of the opening of the account with the below bank, in the same hand i will also be responsible for procuring every legal documents that will proven you as the rightfully next of kin to Mr. Andreas Schranner so i want you to note these and as soon as you contact the below bank i will continue with procurement of the legal documents necessary for this transfer to be achieve without any question. See thebelow informations of the bank in Asia (Jakarta, Indonesia) you can contact. Contact the bank and ask them for the requirement to open an OFFSHORE NON-RESIDENT DOMICILIARY BANK ACCOUNT. They will give you the requirement and then you will open the account immediately. Following all necessary procedures the account could be set up on the same day. See thebelow information of the bank in Asia (Jakarta, Indonesia)you can contact. See the Below Information of the bank in Asia (Jakarta, Indonesia)you can Contact. See thebelow information of the bank in Asia you can contact. As soon as the offshore account is set up on your name the bank will provide you with your new offshore account details i.e ( swift code, account number, bank address, telex code and IBAN number) you will forward the account coordinates to me and i will immediately transfer the $11.5M USD from my bank to the new account. With swift transfer the funds will be in the receiving account on the same day. Subject: APPLICATION form needed for transfer. We wish to inform you that we have reviewed your request which you sent to us about. opening an offshore non-resident domiciliary account in our bank proceeding on the accounts options. Be informed that overseas based clients who intend to have a running Non-Resident Bank Account with our financial institution BCA Bank should kindly read the mail below. We have attached account opening form, you will have to fill it correctly then send it back to us via email attachment. Having a Non - Resident Bank Account with our finance institution will give you the opportunity to receive and transfer large amount of funds to any of your designated bank account around the globe using our recently introduced digital swift transfer operating system. However we have different types of accounts each with a fixed minimum deposit, see below. .
4, PERSONAL DOMICILIARY ACCOUNT: THIS ACCOUNT IS STRICTLY FOR INDONESIA RESIDENTS. 1, Yourphone number, home and office address. 3, Offshore account opening/activation fees with a minimum balance of $835Note that this payment will be credited into the account in your favor. 4, A payment of $35for a bank draft and local stamp to validate and legalize your account opening form. NOTE : All payments will be credited into your new account. You are to make available the required cost through our account credit department via bank transfer or money transfer; the details will be given to you when needed. Upon receipt of the above required we will open the account on your names and send the relevant details to you respectively Your account officer is your personal adviser, ready to be of service. 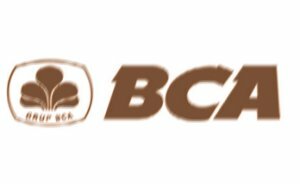 BCA Bank is a reliable bank with a standard international reputation. BCA Bank protects your interests with absolute discretion guided by our Geneva customer/banking secrecy act. We guarantee that Your details and personal information will not be released to any third party or governmental bodies without your permission. There is no withholding tax on the interest paid to you on credit balances, term deposits or Dollar bonds. With BCA Bank you can invest at the highest level. You can arrange a wide range of bank transactions electronically from your own home without any restrictions. You may transfer amounts in EURO, USD and other currencies tho and fro, Indonesian. You may hold interest-bearing accounts in various currencies. You can use the BCA BANK Credit Card to withdrew and make payments worldwide. To apply for our various credit cards kindly contact your account officer for further inquires. We await your prompt response to enable us expedite the immediate process of opening your offshore non-resident domiciliary account. Do endeavor to fill the account opening form. Thanks for using BCA BANK your partners in banking. If you are not the intended recipient, an agent of the intended recipient or a person responsible for delivering the information to the named recipient, you are notified that any use, distribution, transmission, printing, copying or dissemination of this information in any way or in any manner is strictly prohibited. If you have received this communication in error, please delete this mail and notify us immediately to our available staff in our costumers care staff Laili Apriliani ,Mr Raul in our hotline 0062 85945 158450 or login to or website. I have gone through the mail of the bank and have understood very well the content, therefore print the form out and fill it very well and and return it back to the bank also select the smaller amount of activation fees, then send it to the bank for the opening of the account, so that we will wait for the new account number when it is been open.